Join us to fish the mighty Kharlovka and its sister river the Eastern Litza, two of the most prolific salmon rivers in the world! The combination of awesome big fish and the manageable size of the rivers are great assets when compared to other Kola destinations. Both wild and challenging they can provide some of the biggest silver rewards anywhere. 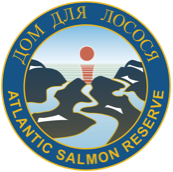 The most productive salmon beats of Kharlovka river are from the lower sea pool up to the first falls which is located approximately 10 kms. from the estuary. There are some 15 good sized – well defined pools which have become famous over the years. The river is also blessed with what has been called ‘The finest Home Pool in the World’. Nicely situated in the middle of the river only 100m from the Kharlovka lodge – All the river’s monsters will make a temporary stop here. 20.3% (1 out of 5) of the salmon landed were 20+ pounds.